​​​​​ ​FLOWER MOUND – The city has approved construction of the first major office building in the Lakeside business district on Grapevine Lake. Realty Capital Management's ten-acre Lakeside Center project includes two- and four-story office buildings near FM 2499 and Northwood Dr. 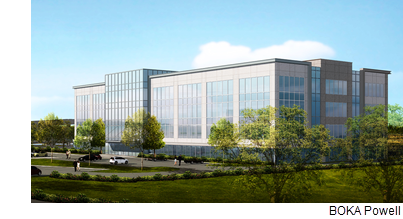 The 138,500-sf project will be the city's largest new office development. The city made an economic incentive agreement with the developers that will allow them to finance the project without preleasing. Lakeside is a mixed-use development with retail, entertainment, residential, and commercial buildings. ​Check out Dallas-Fort Worth-Arlington Office Market Research​.